bile World Congress in Barcelona. (See our preview, "Powerful Smartphones Bound for Mobile World Congress.") Ballmer is scheduled to meet with reporters at 9 a.m. Eastern Time on Monday to discuss Windows phones, according to a Microsoft statement. Rumors have been floating around for several weeks that Microsoft may make a major WinMo announcement at this year's MWC. 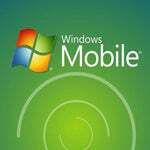 Several rumors have pointed to an unveiling for Windows Mobile 7--the long-delayed upgrade of Microsoft's mobile OS--but there have also been rumors about a WinMo version 6.6 coming before 7. So with just a few days to go until Microsoft's announcement, here are five questions I'd like to see answered on Monday. What's the Deal With Xbox Live? One of the hottest rumors surrounding new WinMo devices is whether they will be integrated with Xbox LIVE, and what features an Xbox-enabled phone might include. Microsoft recently came out with an Xbox app for the iPhone that lets you manage your Gamertag and avatar, see who's online or not, check "gamerscores," and so on. Some rumors say Microsoft will build similar functionality into new WinMo phones. But Microsoft may have more up its sleeve than just Gamertags and avatars; last December, several job postings appeared on Microsoft's Website suggesting the company is building gaming functionality into WinMo phones. An ad for a Principal Program Manager at Microsoft (that has since been pulled down) was searching for someone to "help drive the platform and bring Xbox LIVE enabled games to Windows Mobile." Apple's recent iPad launch highlighted Cupertino's mobile gaming plans, and now that the buzz over the iPad has died down a little, Monday would be a great time for Ballmer to make an announcement regarding Xbox Live and WinMo. Remember all the hubbub over Project Pink a few months ago? Microsoft is reportedly working on a Zune-like phone, among other devices, that would run software based on Windows Mobile 7. It's not clear what a Zune phone would do, but it would likely be focused on playing music and video purchased from the Zune Marketplace. Will Project Pink make an appearance on Monday? Mo 6.6 is expected to be an incremental upgrade from the current WinMo 6.5 (unveiled at last year's Mobile World Congress). But if the prayers of the Windows Mobile 7 faithful are answered, then Ballmer may give us a hint of what lies in store for version 7. Current rumors suggest there may be two versions of WinMo 7 called media and business editions. The business edition would be the more basic version and focused on productivity apps and features like online document collaboration, e-mail, PowerPoint, and so on. The media edition would, as the name suggests, focus on things like music, video, social media, and possibly gaming. Will The Announcement Be Epic? The social media aspect of WinMo 7 may be built on a rumored "mobile social platform" that Microsoft has planned. The new platform is intended to lure developers to build socially focused applications. WinMo 7 is going to "epic," according to a September job posting. As luck would have it, that's exactly what Microsoft's mobile platform needs right now: an epic boost to compete with the onslaught of Androids, Palms, and iPhones. It would be interesting to hear more about Microsoft's latest Internet Protocol television platform (IPTV), Mediaroom 2.0. Redmond announced the product in January, and touted it as a platform to deliver more content to more screens than ever before. With Mediaroom, cable operators and other providers can deliver content to your television, PCs running Windows Media Center software, Web browsers, Xbox 360 and, eventually, compatible smartphones. Maybe upcoming WinMo phones will have Slingbox-style place shifting capabilities to let you watch channels from your home cable subscription while on the go. So, what do you think Ballmer plans to announce on Monday? Great new features for Windows Mobile phones or just a few incremental upgrades?